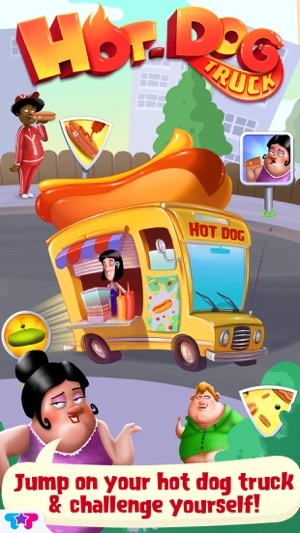 > Jump on your hot dog truck & business will bump! Time to: cook, serve, eat & compete! 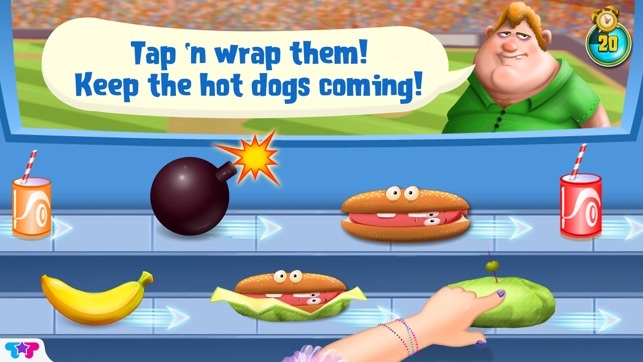 > Plenty of hot dog fun and buns! 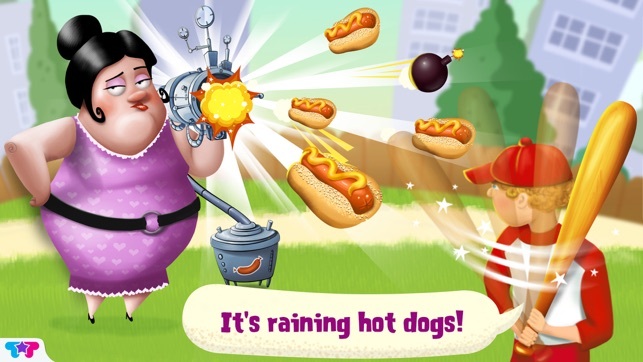 Beat your opponent by catching flying hot dogs & avoid the bombs! 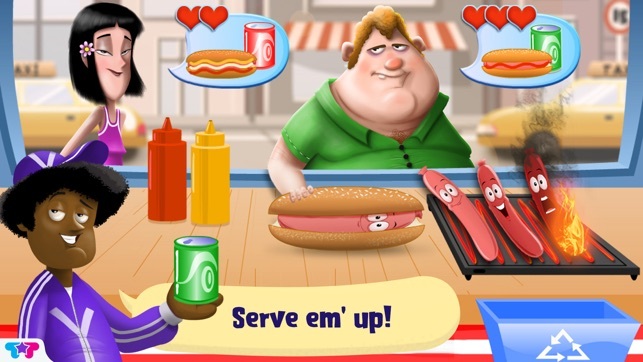 > Become the ultimate hot dog chef! Beat the clock & challenge yourself! 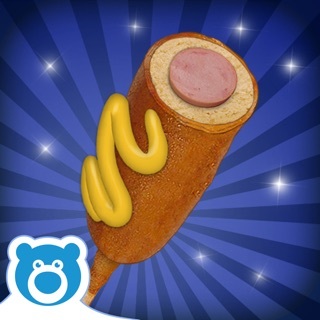 Tap to wrap up the hot dogs quickly! 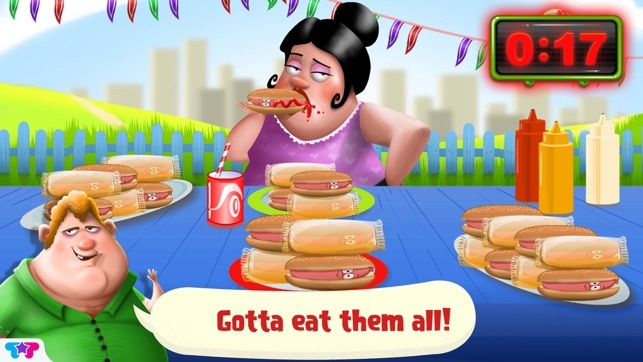 Your guests are hungry so keep up with the conveyor belt and keep the hot dogs coming! These hot dogs are too hot to handle and too legit to quit! Serve ‘em up fast! Drag hot dogs, buns, and drinks together to make meals for the hungry people! Don’t forget to put some ketchup! Time to cook by the book! 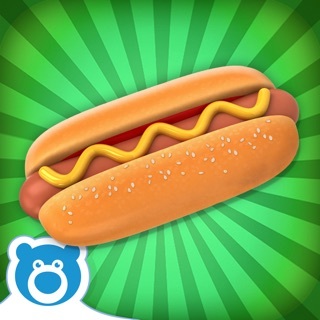 Drag and drop hot dogs into the cooking pan, don’t let them burn! 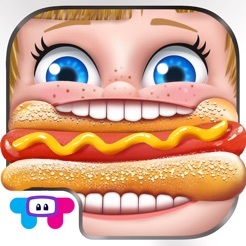 Put them in buns for your yummy customers! Track progress with the sidebar!